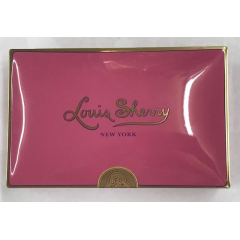 Louis Sherry fine Chocolates. This 12 piece assortment includes their favorite assortment. Our best selling and world-renowned item. Designed in 1919 as a gift for steamship passengers, this tin has been enjoyed by kings and queens, sultans and majarajas, princesses and presidents. 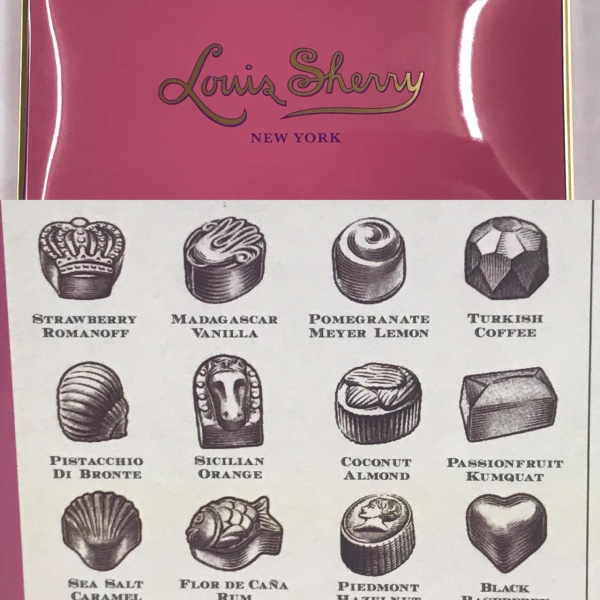 Our emblematic gift box is composed of a house selection of exquisite Louis Sherry truffles renown for their creamy texture and exceptional silkiness. A truly delightful gift for anyone to indulge in the pleasure of fine chocolate. Do you want to add accessories in your cart?